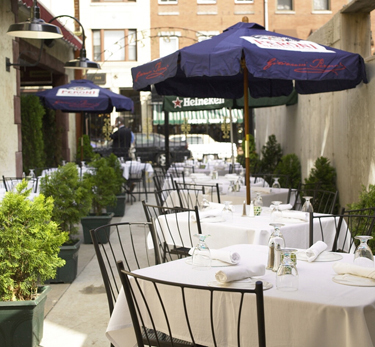 Ristorante Fiore is a big favorite among locals and tourists because it embodies the North End's past and present: authentic Italian dishes as well as contemporary variations on the classics. Voted by Zagat as one of the top 1,000 Italian restaurants in the country, Fiore prepares traditional Italian dishes with only the best ingredients: homemade pasta, the freshest seafood and the finest cuts of meat. We offer private dining that accommodates up to 70 guests, three floors of distinct dining rooms and the North End's only patio and rooftop dining. So take entertainment and dining to a higher level at Ristorante Fiore.